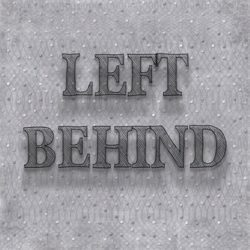 Most Christians Will Be 'Left Behind' - BFL 171 - BLIND FAITH LIVE!BLIND FAITH LIVE ! Real People. Real Miracles. If Christ came back for his Church today, would you be leaving with him? The physician of unshakable faith, Dr. Issam Nemeh, gives us the reasons why most Christians will be left behind. It’s not just bodies that need healing. Sometimes the entire family need to healing. Sometimes a healing prayer can bring love back to a troubled family. Dentist, Ken Wolnik, was about to look for a new line of work. 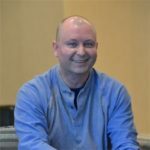 Bone spurs in his neck, herniated disc in his back, and spinal stenosis were making it impossible for Ken to continue working in his chosen field. One prayer from Dr. Issam Nemeh vanquished any thoughts of a career change. This entry was posted in Dr. Issam Nemeh, Episodes, Kathy Nemeh, Philip Keller, Trapper Jack and tagged Back, Neck, Prophecy, Spine, Trust in God, Truth by Philip Keller. Bookmark the permalink. Thank you and Dr. Nemeh for this broadcast. It is the most powerful and passionate one given so far. Also, I might add the most needed one. Our country is undergoing a great crisis due to our decisions with the upcoming election. The Holy Spirit I feel has ripped apart the veil covering the corruption of the Clintons for a purpose. Americans now have no excuse with which side we choose. Millions are praying everyday for Donald Trump to win. God bless and keep America a Christian nation. THANK YOU SOOOO MUCH Dr Nemeh and Philip for such a wonderful knowledge. I was awaken a long time ago, (2001) and now since I met Dr Nemeh over 2 years ago and with the help of the Holy Spirit it made me understand even more. The amazing thing is that I can watch news or hear someone talking, and right away somehow I know if it is a truth or a lie. Majority of main stream media in our country is not telling the truth. So if you want the truth you will need to skip MSM and go to alternatives on the internet. If Donald gets in, it will be a much softer landing and USA will have a better chance of surviving what is to come to this world. I could never understand anyone calling the selves Christians/Catholics etc and killing the babies through abortion! It is beyond logic and common sense. Thank you again both of you for such a wonderful work you guys do. I believe those who disagree with Dr. Nemeh’s position on the election are unwittingly being fooled by Hillary’s appearance of sincerity when, in reality, nothing could be further from the truth. I would rather have a president who is rough around the edges, but cares about his country than a wolf in sheep’s clothing. I pray that people will honestly consider the truths that are now coming to light as they enter the voting booth. We have been so blessed because we are a nation under God; do we want to turn our backs on God now? Every word Dr Nemeh spoke resonated with me! We love you and Kathy, DrNemeh, for speaking so boldly for what God’s Word declares and for loving us enough to speak truth and risk possibly the ire of some. Yes, we will pray for this nation and the world, not forgetting for the peace of Jerusalem and the Middle East. Philip, we love what you and Beth do for us every week. You are a blessing to us! Prayers for all of you, spiritually, physically and emotionally. May I put a link on my FB to the podcast?? Or are there copy right caveats? Thank you Nell. Yes, please share BFL … any way you wish.